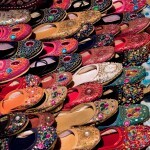 Looking to shop for handicrafts in Rajasthan, India! Well, which better place than the Pink City or city of Jaipur to shop for handicrafts, be it classic handicrafts, beautifully crafted jewelry, or rich and colorful textiles. The city of Rajasthan from time immemorial is renowned for its rich deposits of precious Gems, be it Ruby, Emerald, Garnet, Topaz, Jade, or Lapis Luzuli. 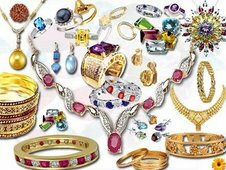 Jaipur’s Johari Bazar, a world famous hub of jewelry both real and imitation has a large number of big and small jewelry shops visited by tourists and localities alike. 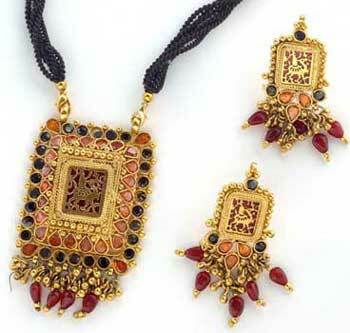 The patterns and designs found on these jewelry pieces are both unmatched and intricate. What’s more, many of these pieces have different forms of elephants and birds such as elephants or peacocks crafted on them, especially in pieces crafted from jade or topaz. Not only this, the expert gem artists of Jaipur use beads and precious stones and carve them into beautiful figures too. So what does this exclusive collection of ornaments consist of? Well, it can contain an armlet or a Baajuband, Judamani or a hairclip, a Tagdi or a belt and a Bodla that adorne’s a women’s forehead. What’s more the jewelry bazaars in the city are full of traditional ethnically carved pieces made of beads, pearls, silver, diamond, and even metals. Some of the famous destinations for purchasing the traditional Rajasthani Jewelry pieces are the Haldion ka Rasta, Tripolia Bazar, M.I. Road, and the very famous Johari Bazaar. All these markets are full of women folk at any given point of time. Known all over the world for its class and idiosyncrasy, Jaipur is the India’s famous center for handicrafts and handmade stuff. If you’re an art enthusiast or an art collector, the Jaipur’s flee market is a one place you must visit to look and purchase a variety of art assortments. These handicrafts contain some of the finest pieces ranging from metal work to wood work and even some of the finest stone and marble pieces, and even pottery. This handicraft collection admired by one and all offers a large number of products to its admirers including paintings, sculptures, games such as chess played from decades, furnishings to decorate your house, carved furniture, and much more. And not to forget the famous Jaipur’s blue pottery! Well, this glazed blue pottery that stemmed from Persia is a tasteful combination of contemporary style and taste along with the Royal traditional touch and can be decorated in the form of ornaments, jugs, plates, pots and mugs, and other such traditional items. Jaipur also houses some of the top-notch marble pieces in the form of deities of Hindu Gods, human and animal sculptures, delicate vases and marble carvings. So if you’re looking for traditional handicrafts to adorn your house, don’t forget to invest in these marble and pottery pieces. You must have also heard about the metal and brass carvings of Jaipur, which appear as if allure has been filled in these lifeless metals. You can choose from carved and lacquered brass items and sculptures. The city of Jaipur is also famous for its woodcraft including wooden crafted doors and windows, picture frames, and drawer boxes. Created traditionally, these pieces of wood have antique finish. 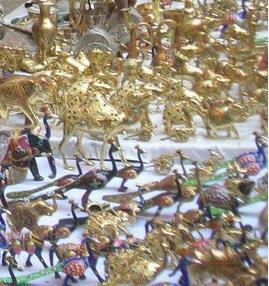 And you can very easily some of these handicrafts in Jaipur’s Chaura Rasta, Jauhari Bazar, and Bapu Bazaar. Famous for its tie-and-dyed textiles, the city is famous for its textiles available in a variety of prints and rich and vibrant colors. The garments tie and die variety includes Bandhej, Lehriya, and Pachranga, while you can spot printed fabric in Bagru and Sanganer prints. These fabrics are available in different traditional forms of beautiful Sarees, Safas, and Odhnis, and have been accepted by the fashion designers all over the world.